The Israeli military bombs Gaza, August 9, 2018. Photo credit: WAFA. The Israeli Goliath, one of the strongest and most technological armies in the whole world, has proven unable to handle the stone of Palestinian David. Who in the West hasn’t heard about the biblical story of David against Goliath? That story about a little Jewish boy who manages to kill the powerful giant with a mere sling and stone and provoked the defeat of the Philistines. For years, the State of Israel was compared to little David successfully fighting the Arab Goliath. It was mere propaganda: even in 1948, Israeli military forces were much stronger and better armed than all of the Arab armies put together. Why do I recall that biblical story now? The experts of the Israeli army are digging in their files for a solution to the strategic problem of the kite-balloons successfully used by Gaza children to ignite fires in nearby Israeli fields. The Israeli Goliath, one of the strongest and most technological armies in the world, has proven unable to handle this stone of Palestinian David. The far right, however, is pressuring the Israeli government to order the army to drop 500-kilogram bombs on the heavily populated cities and camps of Gaza. Some are even calling for a new military invasion of the Gaza Strip, forgetting that the last invasion ended with a severe defeat for the Israeli army, despite thousands of murdered and wounded civilians, as well as massive destruction. 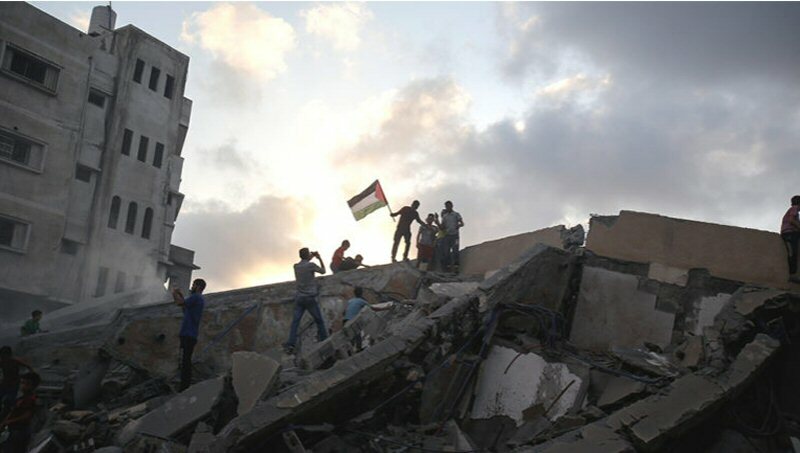 Suffering from more than ten years of a state of siege, three Israeli invasions, consistent bombings from air, sea and land, and hostility from its Arab neighbor – the men, women and children of Gaza are resisting. For them it is first of all a question of dignity. They have our admiration. They deserve our daily solidarity. Opinion/analysis 08/11/18 Which will it be: Unequivocal support for Israel or First Amendment rights?